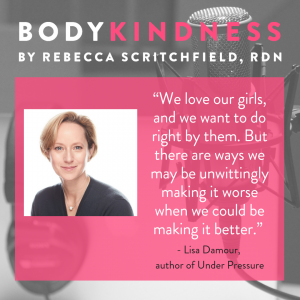 I’m loving today’s show – it’s all about anxiety and girls, with bestselling author Dr. Lisa Damour. 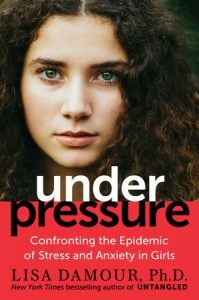 Her new book has just been released: Under Pressure: Confronting the Epidemic of Stress and Anxiety in Girls. We discuss what’s normal and actually beneficial for teen girls when it comes to stress and anxiety, when you should worry, as well as the options available for talking with girls and young women to reduce their stress and anxiety on everything from embracing their bodies, dating, to setting boundaries. We also get into an important conversation on microaggressions and racism — pressures from our culture girls can’t control, but we as parents and helping professionals can help all girls get through.